The USA Pro Challenge returns for a third year with a more condensed route sure to please riders from around the world. 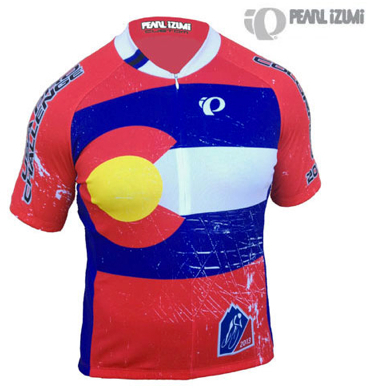 Some of the best ProTour and Continental teams will meet to compete in 7 stages across the Rocky Mountains and into the state capital of Denver, Colorado. 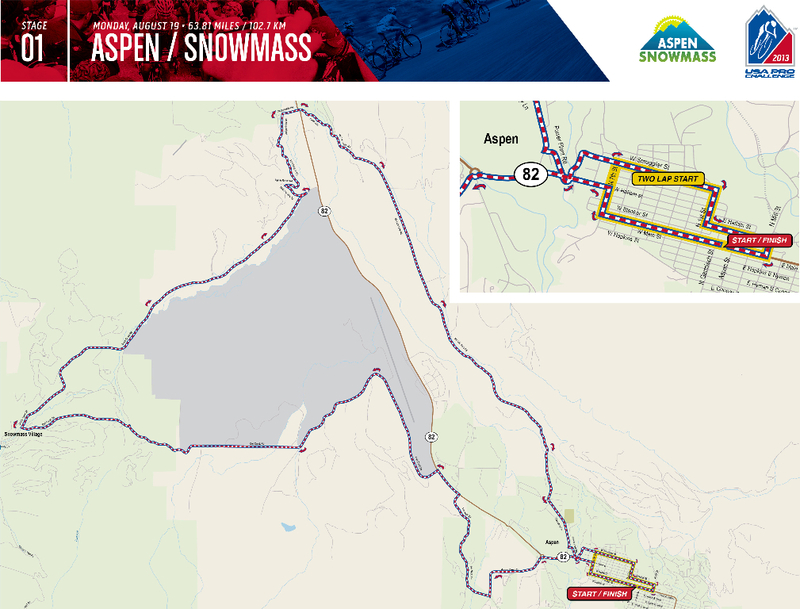 This tour of Colorado in 2013 begins in Aspen, features a time trial in Vail and finishes with a circuit race in Denver, Colorado. Host Cities this year include: Aspen, Snowmass, Breckenridge, Steamboat Springs, Beaver Creek, Vail, Loveland, Fort Collins, and Denver. There will certainly be something for everyone. 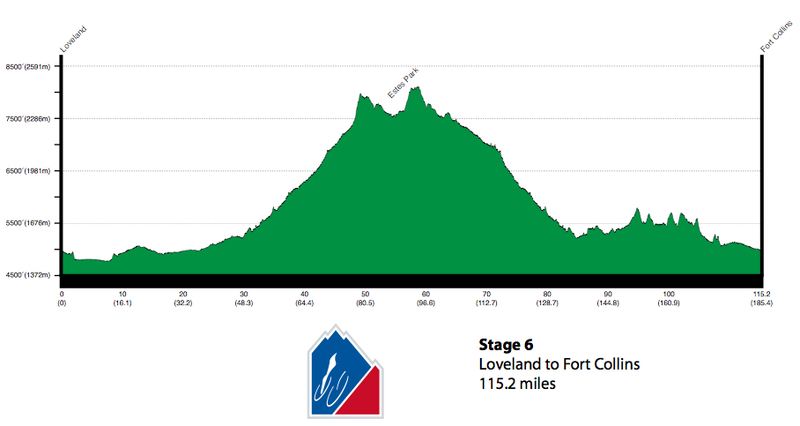 The weekend stages (6 & 7) in Loveland-Fort Collins and Denver are sure to have big fan turn-out and lots of options for race viewing. BMC, Cannondale, Saxo-Tinkoff, RadioShack-Trek, Argos-Shimano, and Garmin will join team Sky in the pack of 16 teams coming to Colorado to compete in the stage race. PEDAL DANCER FAN GUIDES - USA Pro Challenge Race Day Planning for Fans - city event guides, route maps, road closures, and stage start and finish times. I live in Colorado but have chased Pro races for 13 years on the Continent and in Europe. I am now granted the thrill to be Media at this event but am always in touch with my roots as a fan. 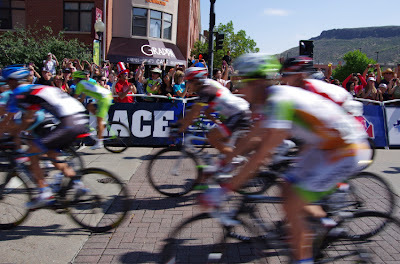 I share with you my inside tips on how to see and enjoy a professional cycling race. 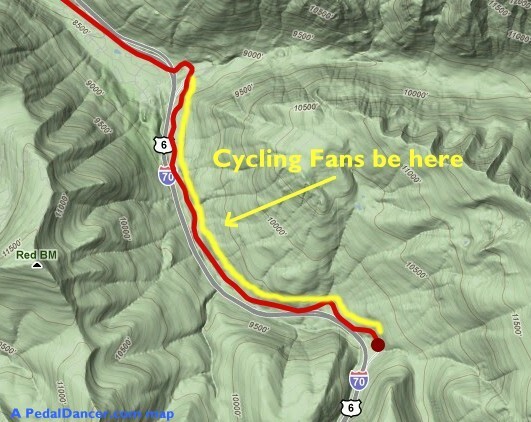 Colorado not only has a fit and active population, the state has a very knowledgeable fan base who understand cycling. Coloradans routinely enjoy a variety of outdoor sports and have embraced the USA Pro Challenge now in it's third year. I began the tradition in year-one of offering tips to fans on seeing the pro race in Colorado, so I will continue offering information, hoping to encourage new fans each year as well as making race day planning that much easier for experienced fans. Enjoy the race! 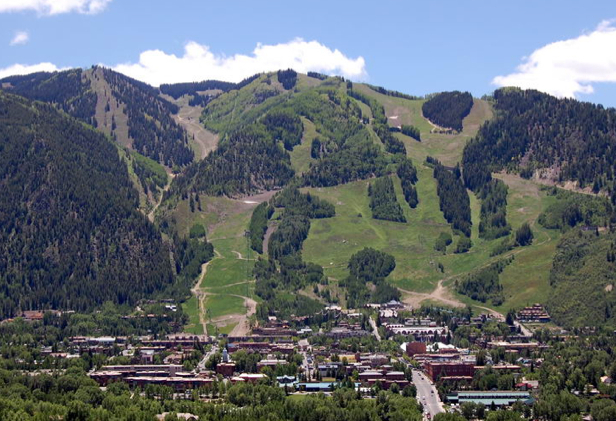 Take a 3-day holiday (Sat-Tues) in Aspen to see the riders warm up (get out and ride your bike on the same road as the pros, as they train on Saturday and Sunday). 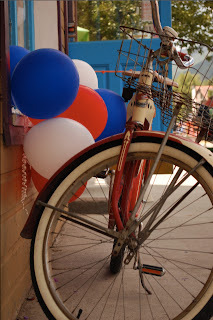 Tour the Team parking area Saturday 3-6pm in Snowmass Village and see the mechanics setting-up the bikes. 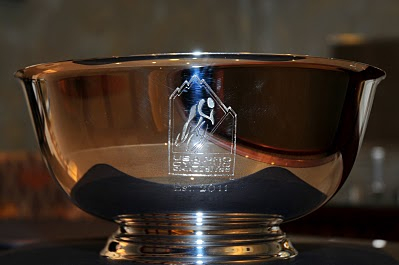 Watch the Opening Ceremonies and Team Presentation on Saturday night at 6:30pm in Snowmass Village. Be in the audience for the pre-race press conference in Aspen on Sunday at 1:30pm. 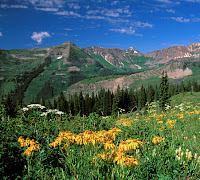 Attend the special events in the city of Aspen or Snowmass Village. 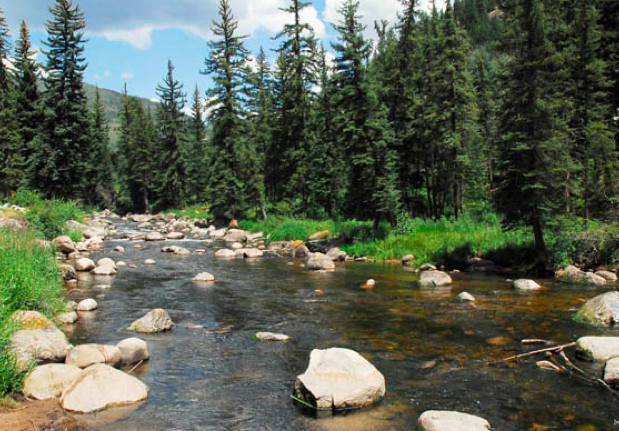 Go hiking near the Maroon Bells, fish in the gold medal rivers nearby and then watch the pro teams race Stage 1 (Monday) and Stage 2 (Tuesday). 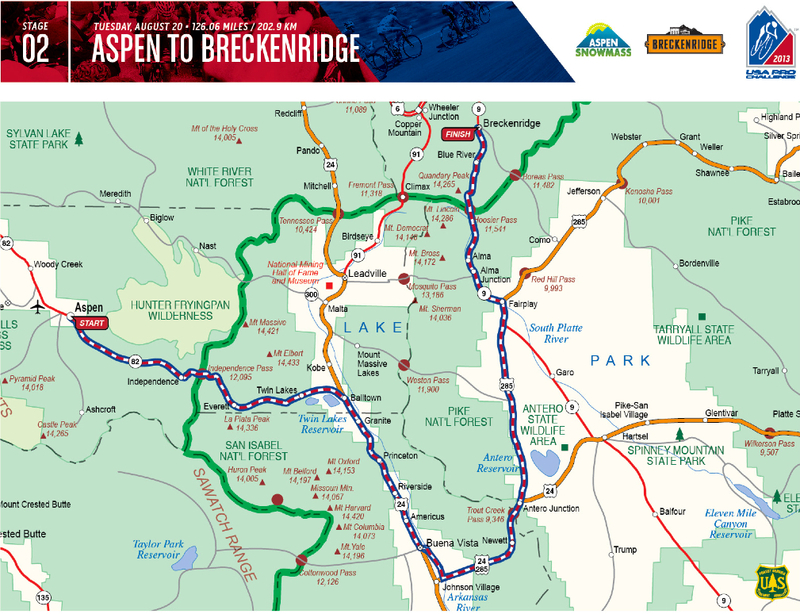 Spend an overnight in Breckenridge; you will see the finish of Stage 2 (Tuesday) and the start of Stage 3 (Wednesday). 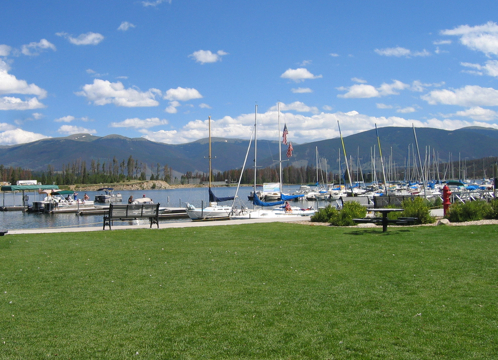 When you are not watching the race - ride your own bike from Breckenridge to Frisco, continue to the top of Vail Pass; kayak or canoe on Lake Dillon (although the water is low this year); mountain bike on the local trails, enjoy the town events in the town of Breckenridge. Spend an overnight (Wednesday night) in Steamboat Springs to see the finish of Stage 3 and the start of Stage 4, this will be a good town to gather autographs and photos of your favorite riders. Two years ago Rabbit Ears Pass was a wild scene on race day and Honey Stinger (based in town) had a fun party post stage finish. The VIP tent in Steamboat was one of the best. Last year watching the finish into the ski village of Beaver Creek was excellent, the shuttle bus up the hill was fun and the concert after was awesome, so don't write off Beaver Creek. 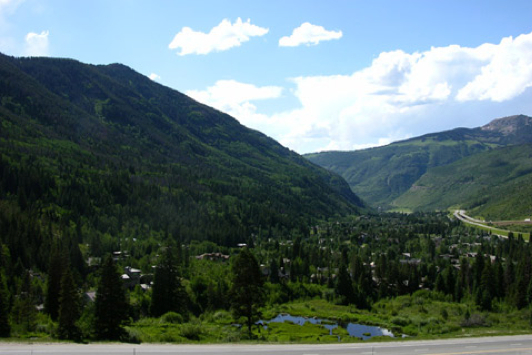 You could always stay over in Eagle county and be right where you need to be when the individual time trial begins the next day in Vail. Ride your bike up Vail Pass to watch the Individual Time Trial of Stage 5 with the mass of fans, (requires a Friday off of work but well worth it!). It was hot on that mountain 2 years ago but as a fan, it was a great place with hours of entertainment as the riders rode past individually. 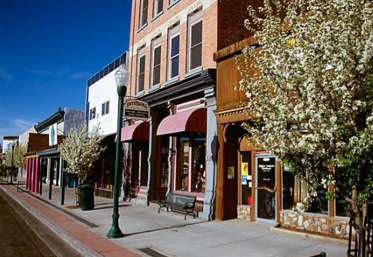 Ride part of Stage 6 on Saturday and enjoy the activities in the cities of Loveland or Fort Collins. The crowds should be big. Gather a group of friends on Sunday and go anywhere along the route in Denver to watch the laps, (however, if Mario Cipollini returns to the VIP tent in Denver again this year, then I would just go there). 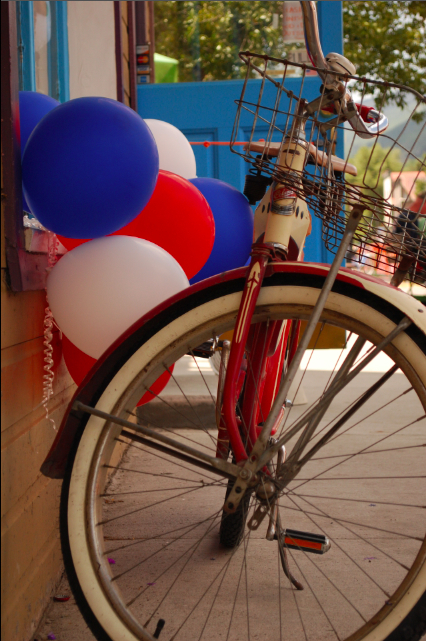 Also be sure to take in a local brew and ride your own bike to the race for easy parking! Saturday, August 17th, 6:30pm - Opening Ceremonies - Team Introduction. And a big party before and after in Snowmass Village. Sunday, August 25th, 12-4pm - Denver, street-side and/or any pub near the route. You can't go wrong, just get out and make your own experience! Start Area: Lots to see as teams and riders prepare for the days race, fun photographs and autographs. Good for families and knowledgeable fans who recognize the riders easily. Fantastic during Individual Time Trials as the riders warm up, weigh & measure bikes then roll down the start ramp. In any town: You can sit and enjoy a meal at a cafe and then go to the side of the road to watch the riders race by. Good for locals or those wanting to avoid the crowds. The peloton and support riders will take just over 3 minutes to pass by, but the waiting is short and fun. (Note that rolling road closures occur 30-45 minutes prior to the peloton arrival). In the countryside: You may picnic or hike before the riders come through on the road, then watch the flash of color roar by. On a mountain: Cycle out to a mountain pass to watch the riders climb, and pass by at a lower pace. Lots of atmosphere and fun with the fans. Good for cyclists or those willing to drive up very early. Finish Area: Enjoy a meal before or after the finish. Visit the Festival of vendors and sponsors. Watch a very fast exciting sprint finish to the line. Watch the podium presentations (crowded). Limited rider viewing, but fun anticipation and event atmosphere. 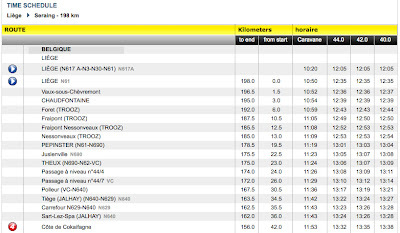 Also good at the finish of a ITT where you can watch the time board of each arriving rider and their placement. Stay over in a host city if possible, sometimes you will see staff walking around the bustling towns, mechanics working on the bikes,meet other fans, or see the riders stopping in for an early morning coffee. 8:00-9:00 - arrive, park, have a meal in a restaurant or coffee shop (arrive 2-3 hrs before the start time), or begin your ride out onto the course. 9:00-12:00 - watching fans, staff, riders at the Start area prepare for the day. Team buses arrive and riders appear 1.5 hours before the start time. 10:30-12:00 - the race begins from the Start village. The roads in the direction of the race will not be passable while the riders are racing on them. Individual Time Trials start about 1pm. 12:00-3:00 - riders hit the climbs for the day. Use your Apps to track the race. 2:00-4:00 - watching fans and waiting for riders at the Finish area. 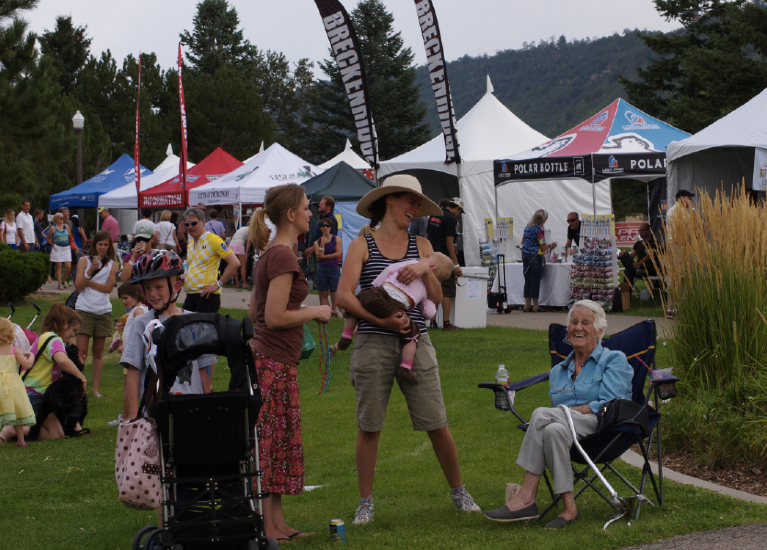 The Lifestyle Festival is typically large and active at the Finish area. 4:00-5:00 - riders race across the Finish line. 5-5:30ish - awards ceremony on the podium at the stage near the finish line (within 15-30 minutes of the finish). Bikes are cleaned and packed up near the team buses. Riders might transfer to nearby team hotels in team cars. If the team travels to another city, they will load in the big team buses. 5:30-7 - give back to the host city and take in a meal, shop while the traffic settles. Or hotel it overnight and enjoy breakfast before seeing a stage start (when applicable). The details for the 2013 were officially released today (04/25/13). Even though the race is suing it's old sponsor Exergy Development Group for 2.5 million (for non-payment), the race is still on for 2013. Most of us who live here in Colorado could have guessed the exact routes of this year's race once the host cities were announced months ago, yet one route I was uncertain about was the route of Stage 6 from Loveland to Fort Collins, they had several choices and I am happy to see the race climb to Estes Park (right next to our shining star - Rocky Mountain National Park). 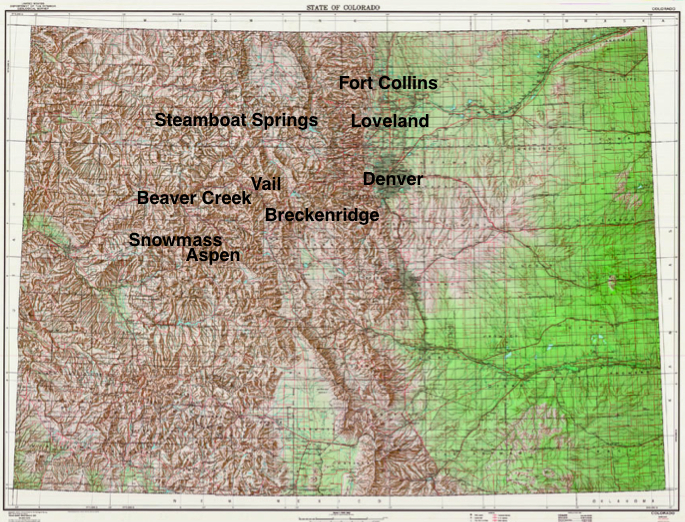 We are staying in the north central part of the state this year, and both Loveland and Fort Collins are new territory. Now we know all the cities, roads and climbs that will be included in this years tour. 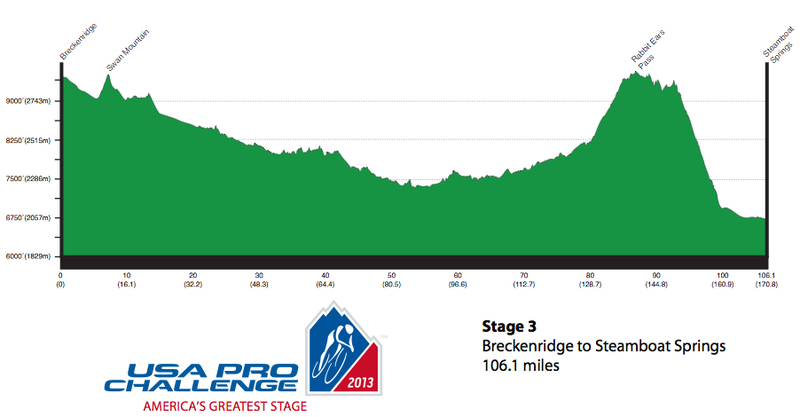 Here they are - the maps for the seven stages of the USA Pro Cycling Challenge. Overview of location of host cities: Look at all those mountains! 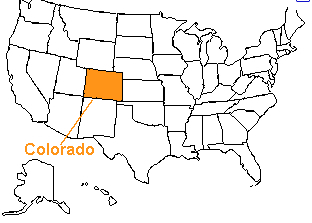 Location of Colorado in the U.S.A. 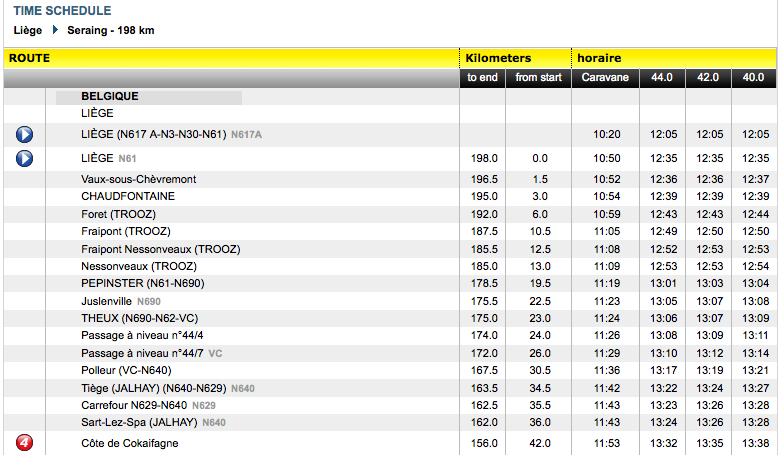 Miles: 21.6 (34.7km) / lap. 66 miles total. DENVER (April 25, 2013) – The route for the 2013 USA Pro Challenge professional cycling stage race, taking place Aug. 19-25 in Colorado, will take riders on a heart-pounding journey through the breathtaking Colorado Rockies. 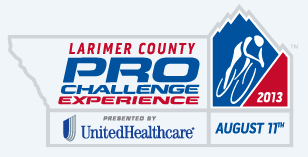 The largest spectator event in the history of the state, the USA Pro Challenge continues to set records in professional cycling history by taking the riders to unprecedented elevations. In 2012, with a lead change nearly every day, one of the closest professional races in U.S. history came down to the final moments of the Individual Time Trial in Denver, and this year’s route promises to bring just as much drama. The race will visit eight official host cities for the starts and finishes of each stage, ranging from small towns to cities as large as Denver, with a population of more than 615,000. 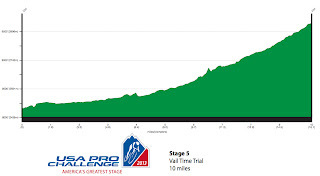 All with varying elevations, the start and finishes of most stages in the 2013 USA Pro Challenge are above the highest points in the Tour de France. 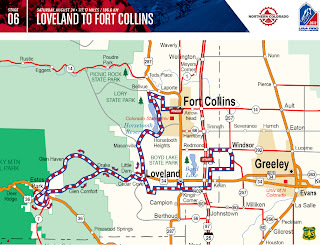 The two new cities joining the 2013 race –Loveland and Fort Collins – each offer breathtaking scenery that will add to the overall excitement. 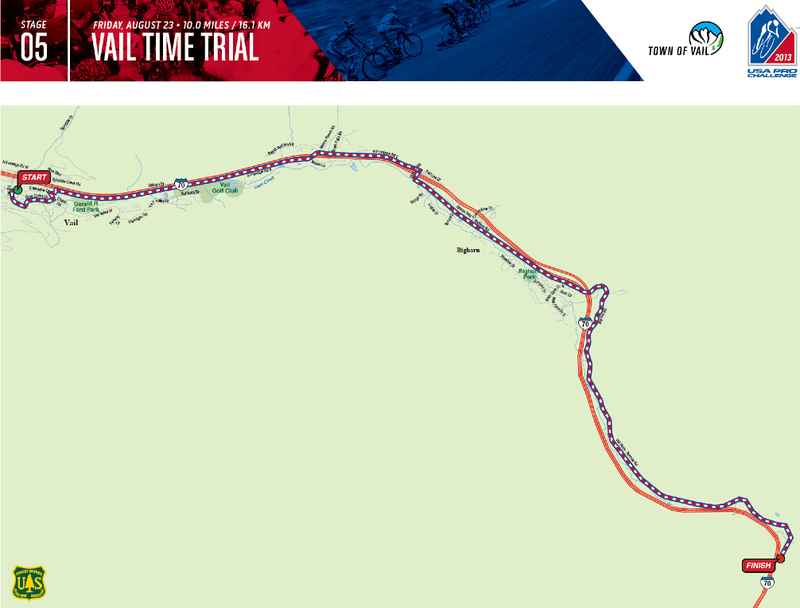 Back by popular demand, the 2013 route will feature the Vail Time Trial course that was used in the 2011 edition and was largely taken from a race forever etched in cycling history – the Coors Classic. 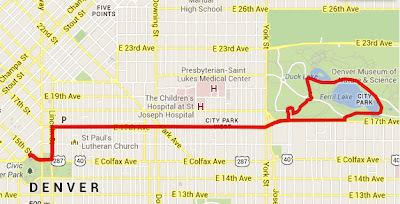 Additionally, the race will borrow from the 2011 route for the ever-popular Denver circuit finish. Giving fans a chance to see the riders nine times (eight laps) and the riders plenty of opportunities to get familiar with the course, this will bring another exciting finish to seven days of fiercely competitive racing. 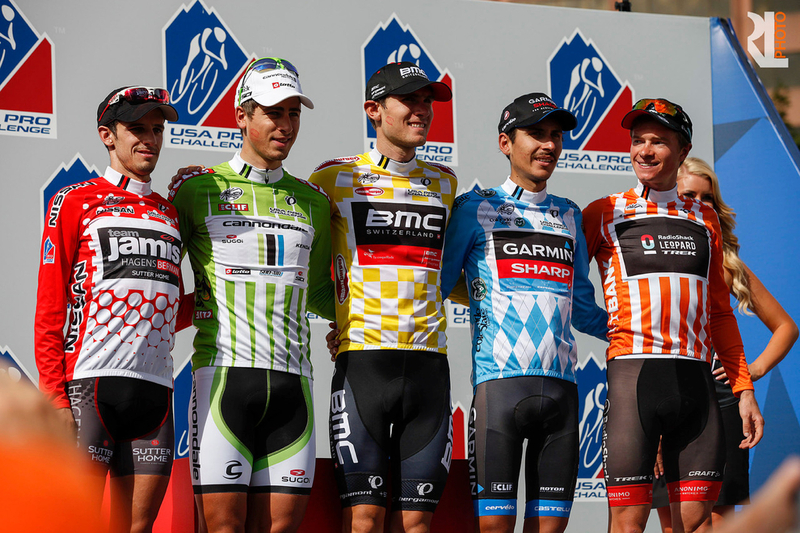 Official Comments: The 2013 USA Pro Challenge begins with its biggest opening day hurdle ever. The new for 2013 Aspen/Snowmass Circuit may be short on distance, but it packs a punch that will welcome the riders to Colorado. Consisting of three 22-mile laps, 66 miles total, Stage 1 packs in 3,080 ft. of climbing per lap with minimal recovery, so this is no easy start. Each lap will see the racers fight for position onto the narrow, but beautiful Maroon Creek Bridge, then grind up to Snowmass Village. A quick descent leads to two short, but steep climbs and a quick loop through downtown before doing it all again. Pair that with a starting elevation of 7,900 ft. and you have one tough opening day. 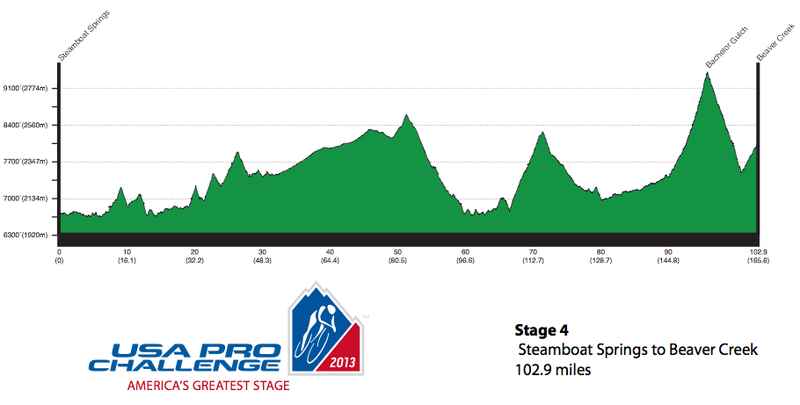 No one will win the 2013 USA Pro Challenge on this opening day, but without a strong start, someone could lose it. Pedal Dancer® comments: This should be a fun day in a nice mountain town where fans will be able to see the lead group and the peloton several times. This will be the Stage to weed out the riders who do not arrive in good form or in good health. Also energy should be high as riders and fans witness who brought their game to the USA Pro in 2013. Official Comments: While much of the Stage 2 course has been used in previous years, 2013 will mix things up by taking the riders in different directions, creating a unique new stage. 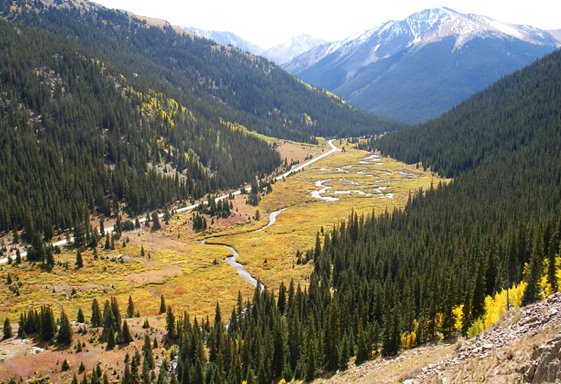 The familiar battleground of Independence Pass will be anything but easy as riders ascend the 12,000 ft. climb, the highest point reached in any professional cycling race. 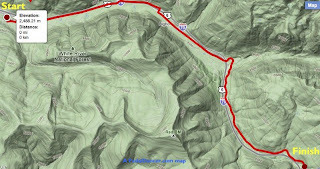 Then they’ll continue on through some familiar spots as the race zooms through Buena Vista, Fairplay and Alma, before tackling Hoosier Pass from the south this year. But it’s not over until it’s over, so before crossing the line the riders will have to conquer the nasty 15 percent grade of Moonstone Rd. in the heart of Breckenridge, before bombing down Boreas Pass to the waiting crowd. Pedal Dancer® comments: Independence Pass all over again, the riders will arrive so quickly at the summit, fans will barely have time to dress in costume and start their song and dance. This is a hit the ground climbing kind of stage. Look for some strong Continental team riders to start strong. They will be flying down Independence Pass and into Buena Vista. 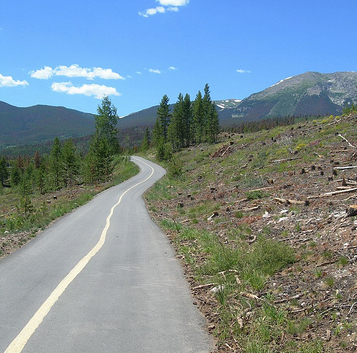 The stretch of road between Buena Vista and Fairplay is not a road I would like to ride (again) on a bike. A big road with fast traffic it is not the most scenic for amateur cyclists, the pros however will cover this section quickly with the aid of rolling road closures. The final climb of the day over Hoosier Pass will see lots of fans and establish the race leaders for the week ahead. Breckenridge will be full out fun for fans. Official Comments: Stage 3 will be difficult to predict for even the biggest cycling fans. Can the climbers hold off the field or can the sprinters hang on? 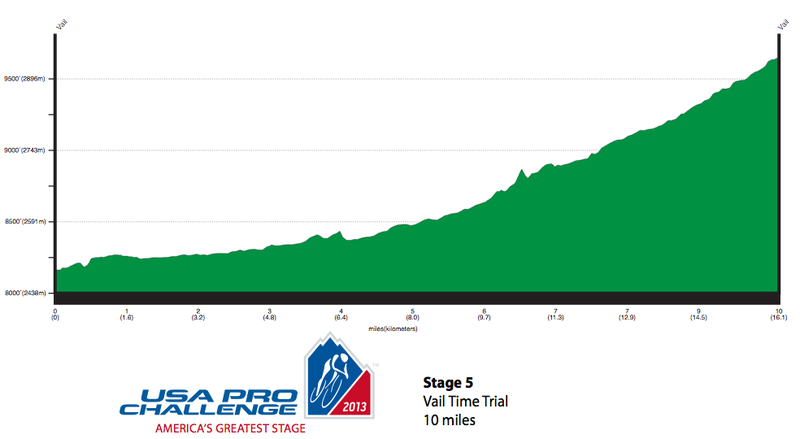 Stage 3 of this year’s USA Pro Challenge is wide open for the taking. After leaving Breckenridge, Swan Mountain Rd. provides a great launch pad for breakaways as the riders weave north to Kremmling, but it’s all just a prelude to the day’s main showdown on Rabbit Ears Pass. 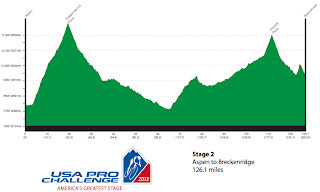 Climbing the challenging eastern slope will give the climbers a chance, but they will have to hold off the sprinters for 20 miles after cresting the top as they head downtown Steamboat Springs. Can they do it? Or will there be a repeat of 2011’s thrilling and monstrous field sprint? Pedal Dancer® comments: Morning fan viewing near the team buses and start line in Breckenridge should be great, with plenty of your favorite rider sightings. Swan Mountain is an easy 11-mile bike ride outside of town and should have a fun grouping of fans waiting on top for the riders to pass. 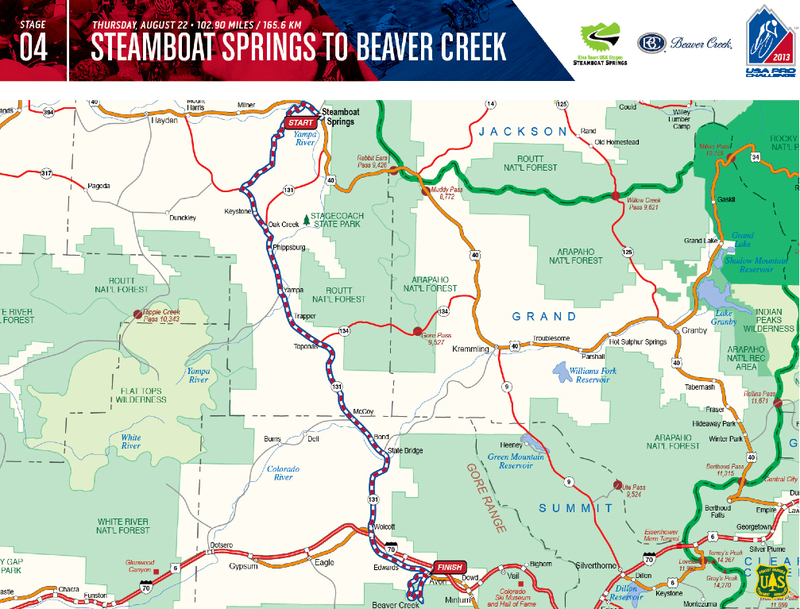 Rabbit Ears Pass, 21-miles southeast of Steamboat Springs or the VIP tent in Steamboat will be the places to be on race day. The race today will be about team work, chasing down any breakaways and getting the lighter faster sprinters over the final climb and into position to sprint for the finish line. 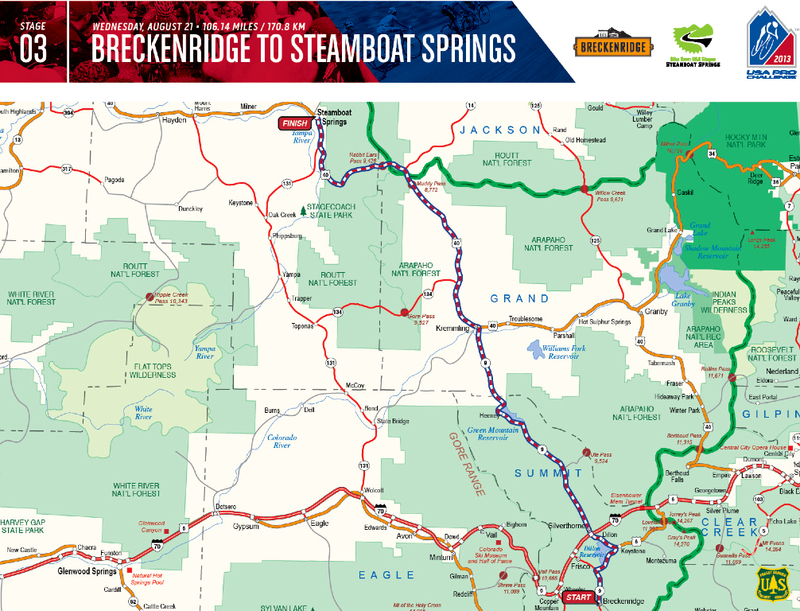 Look for a clean, fast, sprint finish into Steamboat Springs. Official Comments: Stage 4 is the Queen Stage of the 2013 USA Pro Challenge. It features some previously used terrain, but with some added spice. One thing is for sure, the road to the final podium in Denver goes straight over Bachelor Gulch. A new start in Steamboat will send the race off onto new country roads around Routt County. This roller coaster of small hills gives way to a gentle route south until the racers have to climb up from the river bottom at State Bridge. 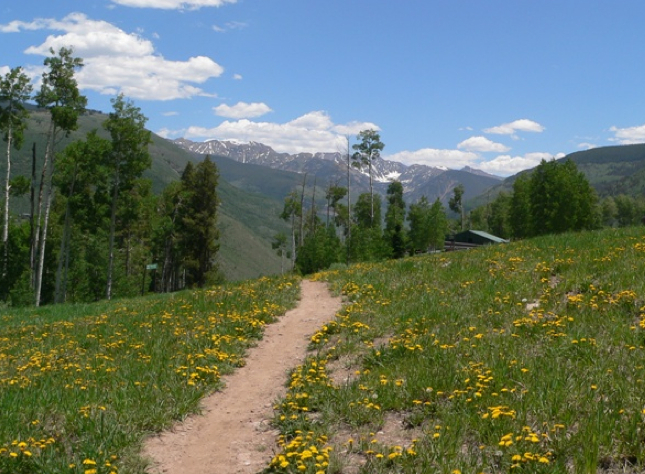 That’s just the beginning, as the new approach to Beaver Creek will now send the racers up the new climb of Bachelors Gulch. It may not be the longest or most well-known climb, but it is quite possibly the toughest. The relentless grade with pitches up to 18 percent will do real damage and create the sort of epic racing for which the Pro Challenge is known. After Bachelor Gulch, the leaders still have to race down a technical descent and power up the final 2 km climb to Beaver Creek Village. By that time the winner may not even have the strength left for a victory salute. 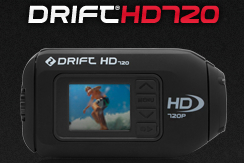 Pedal Dancer® comments: Expect big changes on this day. Lots of race viewing options for fans, with a new varied course profile likely to spread the riders out creating time gaps and probably a surprise stage winner and maybe a change in the yellow jersey as well. Official Comments: The last time the USA Pro Challenge visited Vail, the Time Trial was decided by 58 hundredths of a second. Competition will be equally fierce this time around, but the names may change a bit. The course’s roots are in Colorado racing lore and trace back to the Coors Classic. Starting in Vail and climbing most of the way up Vail Pass, the route is no easy proposition, even for the best racers on earth. The gentle grades of the first half of the course give way to a steady climb for the last three miles. But it takes more than legs on this strategic course; go too hard early and the climb may kill your chances, but conserve too much for the climb and the leaderboard may be out of reach. Pedal Dancer® comments: Lots is at stake on this day. The top riders will be racing hard. The riders will definitely need to warm up for this short punchy time trial up hill at altitude. Expect to see the riders out on course before the start and warming up on the rollers at their hotels or near the team bus. 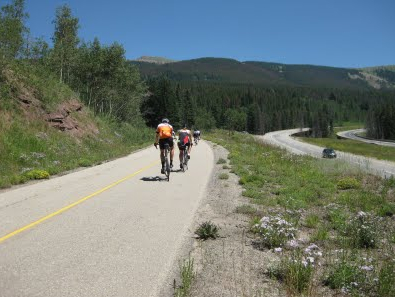 If you can, ride to the last 5km stretch of road on Vail Pass. Shuttle buses will also be available to get walkers close to the final stretch (where you an hike the steep road to find a good viewing spot). If you ride your bike, you should be able to descend back into town in time to see the podium presentations. Official Comments: With a flat speed-fest scheduled for Sunday in Denver, any contenders for the Leader Jersey will have only this stage left to make a move or lose it all. 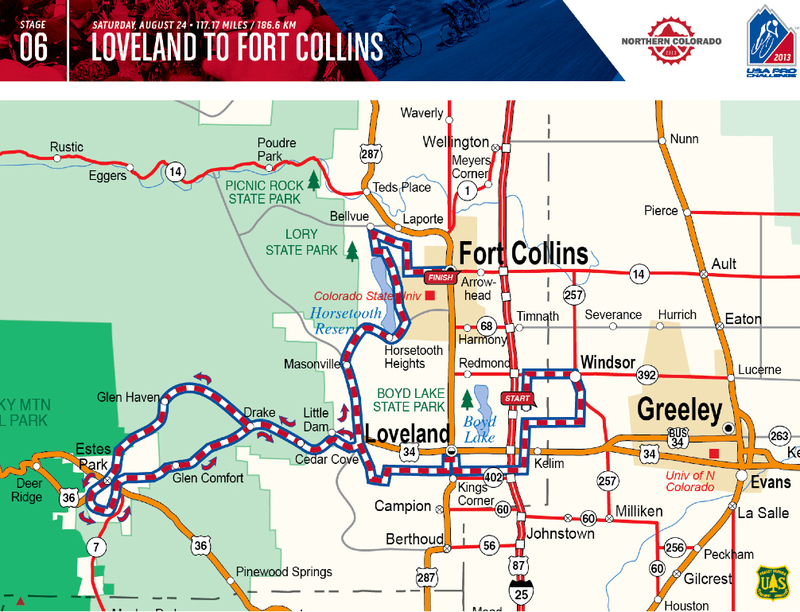 The outskirts of Loveland will see the racers off as they spend some early miles on the flat windswept plains passing through Windsor and back to Loveland. Then it’s up Big Thompson Canyon where things will heat up. Split north onto Devils Gultch, the race’s last King of the Mountains competition, before hitting Estes Park and back down Big Thompson. Horsetooth Reservoir provides one last chance for aggression on its steep rollers. If no one gets away here, look for the sprinters to have their day. 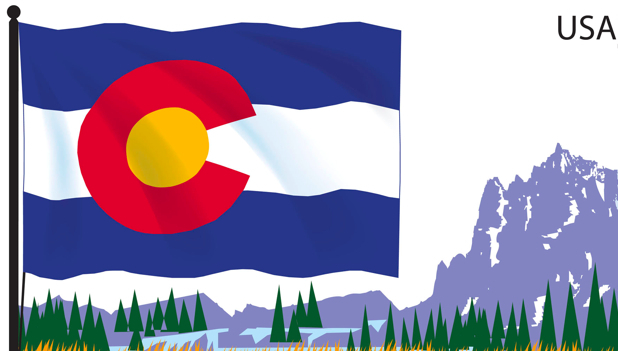 Pedal Dancer® comments: Lots of firsts for this Stage and plenty of unknowns, with two new Host Cities as a backdrop of a big day of front range climbing. Front range climbs are known to hurt. Roads leading straight toward the Continental Divide play tricks on the mind as the appearance does not match the pain in a riders body. This route will throw a little of everything at the riders, and he who emerges wearing the yellow jersey will deserve to win the overall tour. Official Comments: We marvel at their raw speed. We watch their daring moves and nerves of steel as they fight for position with awe. We gasp at their handling skills. They are the sprinters. And for six days they have been fighting over mountains trying to stay with racers 20 or more pounds lighter. They have flirted with thin air and time cuts, but today belongs to them. 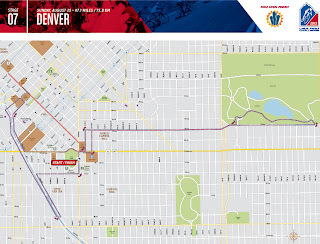 The Denver Circuit takes the best parts of the 2011 and 2012 Denver stages and combines them into a new circuit. It still hits all the Denver highlights – LoDo, City Park, Civic Center Park. There isn’t a bad viewing spot. Watch for early breakaways…can they hold off the surging peloton? Watch the teams cue up and try to set up their sprinters…can they get to the front? Watch the last corner and see who has the nerve to take it the fastest and claim the final prize in the shadow of Colorado’s Capitol. Pedal Dancer® comments: Party time in Denver! Time to celebrate a successful week of bike racing. Come by bike, enjoy the food and beer, be entertained as the riders race the final circuit laps through the state capital. Pageantry pure and simple .Remember there is a 9K & 5K Sprint Challenge at 8:30 a.m. preceding the final pro circuit race (see more information below). Host city information, maps and elevation profiles are available on the race website at http://usaprocyclingchallenge.com/2013-route. 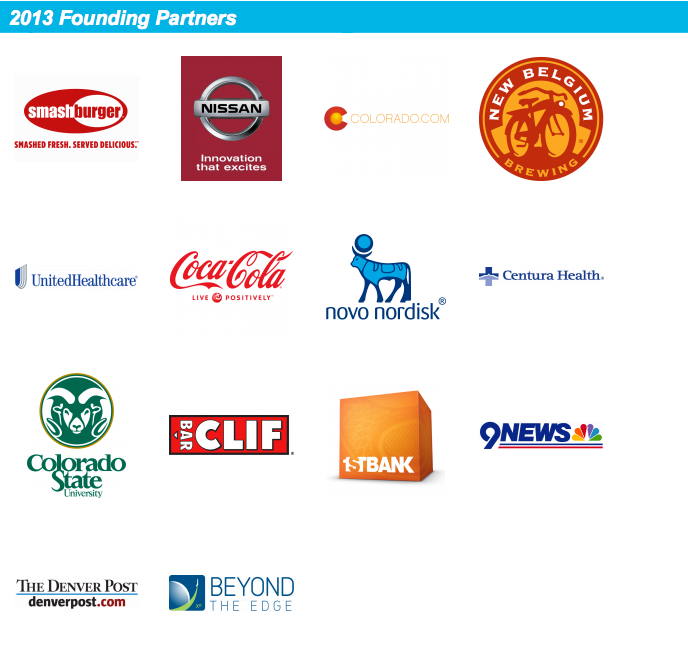 Official Press Release: Referred to as “America’s Race,” the USA Pro Challenge will take place August 19-25, 2013 and travel through eight host cities from Aspen to Denver. For seven consecutive days, the world’s top athletes race through the majestic Colorado Rockies, reaching higher altitudes than they’ve ever had to endure. 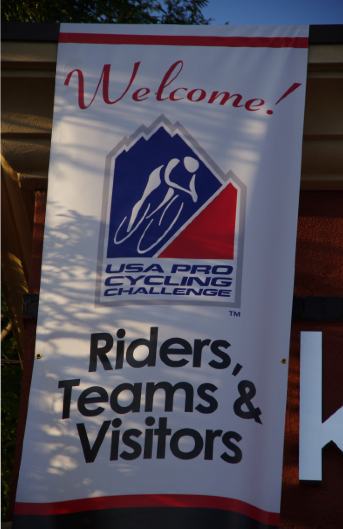 After attracting more than 1 million spectators in 2012, making it one of the largest cycling events in U.S. history and the largest spectator event in the history of the state, the USA Pro Challenge is back for 2013. Featuring a challenging, 599-mile course, the third annual race will spotlight the best of the best in professional cycling and some of America’s most beautiful scenery. More information can be found online at www.USAProCyclingChallenge.com and on Twitter at @USAProChallenge. 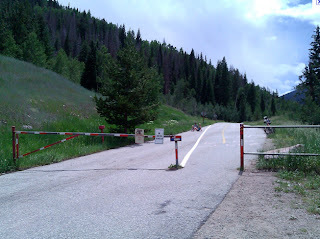 Photos of the Vail time trial roads - my recommendation for a great day to watch the race. This year the Individual Time Trial is on a Friday. There no cars allowed on this section - this is FAN territory. Walk or ride your bike. The fun starts here. The side road on Vail Pass begins here - no car passage. Buy stage jerseys, classification jerseys, tshirts, hats and more: USA Pro Challenge Store. 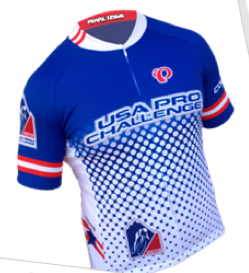 In conjunction with the USA Pro Challenge and event ride for amateur riders will be held in and around Fort Collins on the 11th of August. Professional riders Rory Sutherland (winner of the Flagstaff Stage in 2012) and Timmy Duggan (last year's US National Champion) will participate in the ride.The ride is open to all ages and offers a choice of distances 32, 50, 108. Non of the routes are the exact route the pros will ride on Stage 6 of the USA Pro Challenge this year, but some of the same roads will be used. The event is intended to bring community members together to enjoy a day on bikes. 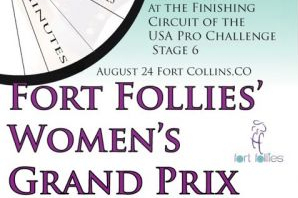 The city of Fort Collins will host the finish of Stage 6 on Saturday, August 24th. The nearby city of Loveland will host the start of Stage 6 (seven stages total). 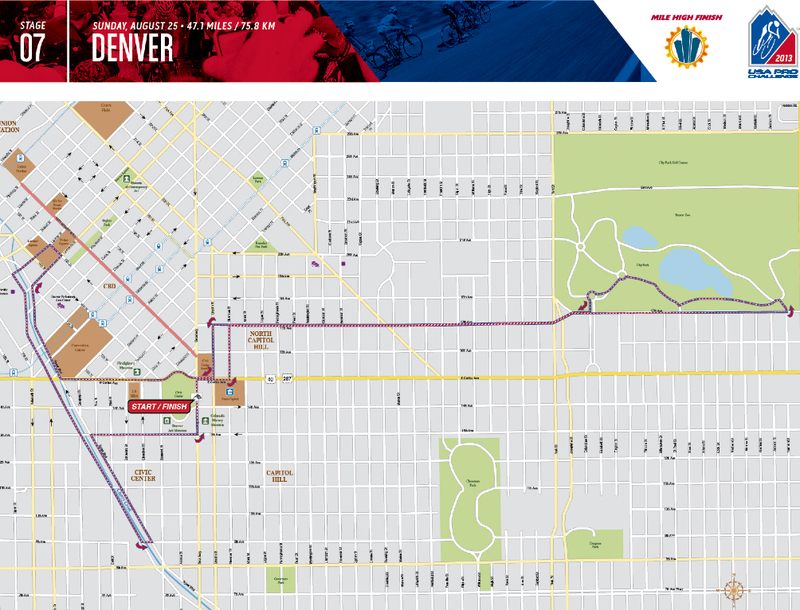 The start, finish, expo and party will take place at the New Belgium Brewery in Fort Collins, CO.
Run route: see 9K route map a shorter 5K route will be available on the same route (with a turn-around point). Prizes: Two hospitality passes to the Founder’s Box will be given away for the best times overall for both men and women, as well as best times for each age division. Two hospitality passes to the Founder’s Box will also be given away for the best “Cycling Fanatic” costume, so dress to impress! Friday, August 23, 2013. Test yourself - race the same time trial course as the pros. Complete the 10 mile (16.1km) route of the Vail Individual Time Trial up Vail Pass. Package includes 2 VIP Passes to the Founders Box in Vail on August 23rd and 1 spot in the Amateur Time Trial. Price: $1500, space is limited, register. The city of Aspen will host a “street sprint” competition on Sunday, Aug. 18, and Monday, Aug. 19, with individual and team championship trophies awarded Aspen Sprint Challengr . 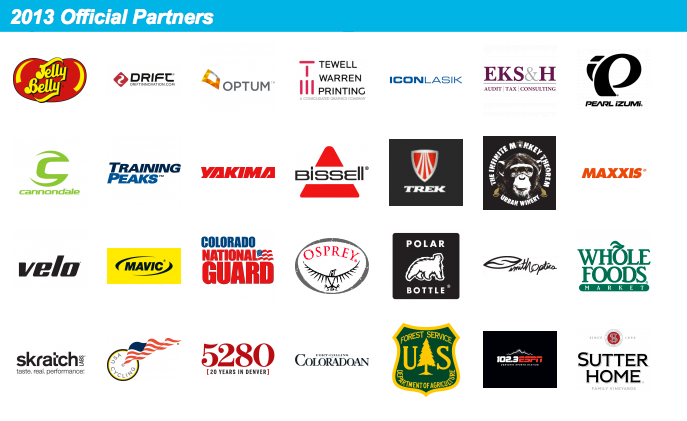 "Proceeds from the Aspen Sprint Challenge will benefit the USA Cycling Development Foundation, the Aspen/Snowmass Local Organizing Committee, and the USA Pro Challenge. Individual entries are $2,500 and four-person team entries are $10,000. Each entry includes a VIP ticket to stage 1 of the USA Pro Challenge in Aspen, as well as a ticket to a special cocktail reception at the Dancing Bear the evening of Aug. 18. A USA Cycling license is not required to compete in the event." Help out - Sign up to be a volunteer in your local town. Volunteer Sign-up form. Bikes of The Peloton : 2013 ProTeam Rides, By Cycling Tips (*Why repeat what someone else has done marvelously by capturing pictures of every road bike in the professional cycling ProTeams for 2013). 2013 Riders and teams Database By CyclingNews.com (Lists of riders, managers, Directeurs sportifs, neo pros, and which riders left the teams in 2012. On the first line, the start time is always definite. In the last two columns every street and turn is listed. Because the organizers of the race are not certain how fast the riders will be racing, they give several approximations of times based on average speed of a rider. The first column lists the slowest possible time at 22 mph for this stage, (speeds will vary based on flat or climbing stages). Column 2, 3, and 4 list other faster times according to increasing speeds. As fans it is best to be there by at least the fastest time listed on the log, but not to expect the riders until the slowest time listed in column 1 of the log. This insures that you will not miss seeing the race. Try to arrive much earlier to enjoy the atmosphere and avoid traffic. Pay attention to road closures. Riders: In professional cycling the racers are generally called riders as opposed to racers or cyclists. Staff: A cycling team is made up of many parts beyond the riders. The Team Manager handles general operations, commitments, and sponsorship. Directeurs Sportif drive the team cars and plan race strategy. Coaches, Therapists, and Team Doctors work together to train and keep the athletes healthy and riding well. Mechanics maintain all team equipment. Soigneurs are the run around guys/gals handling bags and supplies, food and water, clothing, and set-up; while making sure the riders know the way to the sign-in stage, start line, and hotel. They also give bidons and swag to small children. Some Soigneurs also give massage after the race to riders, or the team might have a designated Masseuse. Most of the team staff are a friendly bunch, but their priorities are rider safety and support so always stay outside the rope lines and ask first for autographs or swag. Roster: A list of each rider on each team, their country, and their bib (dossard) number. Bring a roster with you so you may easily identify riders. Both the rider and their bike will be numbered. Some riders have their last name on their jersey of helmet. Route map (Parcours): The course or path the riders will take from start to finish. Some stages will have laps where riders will repeat the same few blocks within the stage. Stage 8 has 5 laps before the finish. Stage profile: Maps the ascents and descents along a stage. It is often fun for fans to see the riders on a climb where the rider's speed slows slightly (or coming around a corner). Rolling neutral start: Riders begin at a start line but do not begin racing until a few blocks or miles into the route (the distance varies). A neutral start is used if the start area conditions are narrow, crowded, or unsafe for race conditions. A neutral start is also sometimes used as a show of respect. Stages 1, 2, 3, 4, 6 and 7 all have neutral starts this year. Rolling Closure: Rolling road closures affect all traffic on the race route - roads are not considered "closed" but instead closed as the riders proceed along the route, enabling the racers to maintain a race speed. Rolling closures are exactly controlled and orchestrated by police, race marshals, local volunteers, and race officials for the safety of both riders and citizens. Roads are closed to all on-coming and entering traffic 20-30 minutes before the race caravan passes a stretch of road. Once the line of riders and official cars have passed each section safely, the road section will be immediately re-opened by officials or volunteers. Rolling closures are temporary moving closures, expect delays of 30-45 minutes. Road Closure: Road Closures are completely closed to auto traffic, but often remain open to pedestrian foot traffic and bike traffic up until a set time prior to the race passing through. Road Closure times will be posted by city officials notifying citizens ahead of time, all citizens must obey. Road closures are strictly enforced and necessary for safety, with no exceptions other than official race vehicles allowed passage. KOM (King of Mountain): First rider to the top of a designated climb on the race route. Riders receive points, the rider with the most points wins the King of the Mountain (KOM) (climber's) jersey. The jersey transfers each day to the rider with the most points overall. There may be more than one KOM point in a stage, Stage 4 has 6 KOMs. Sprint First rider to a designated sprint line on the race route. Riders receive points, the rider with the most points wins the sprint (green) jersey. The jersey transfers each day to the rider with the most points overall. There may be more than one KOM point in a stage, Stage 2 has 3 SPRINTS. Leader: There will be a current leader out on course while the race is taking place, but the overall Leader (yellow jersey) is the rider with the lowest (fastest) overall time for all stages. The winner of each day's stage is called the Stage Winner, not the Leader. Feed zone A designated area on the route where team staff must pass out food bags (musettes) to the riders containing food. Water may be handed to riders through team cars throughout the stage. Breakaway: 1 to a few riders who are leading the race and ahead of the main peloton. Peloton: The main pack of riders chasing the lead breakaway. Podium girls: A tradition in professional cycling to have 2 beautiful women present the awards to the riders at the finish of every stage. Podium: Each day the top three riders finishing the stage are awarded 1st, 2nd, 3rd prizes on the podium. Then the 6 overall Classification jerseys are awarded. 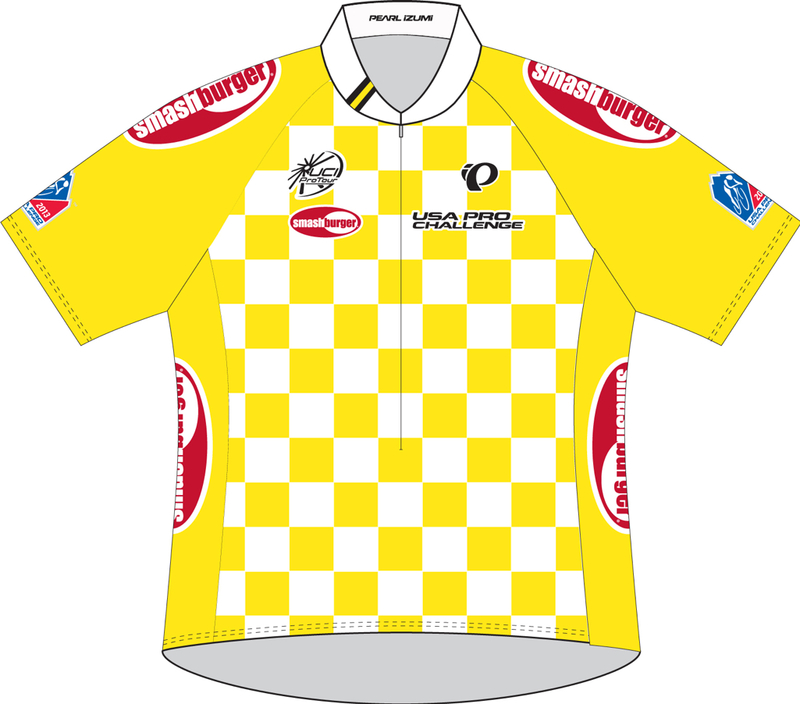 Classification Jerseys: Awards for best type of rider in a field. This year the Tour of California will feature 6 classifications: Leader (fastest overall time, yellow jersey), Most Courageous (by vote, white jersey), Mountain (climber, red polka dot jersey), Sprint (fastest sprinter, green jersey), Best Young rider (under the age of 23, orange jersey), Most Aggressive (most combative/competitive, black jersey). As the stage race progresses the overall classification winner is presented with his jersey after each stage and will wear the jersey at the start of the next day's stage. 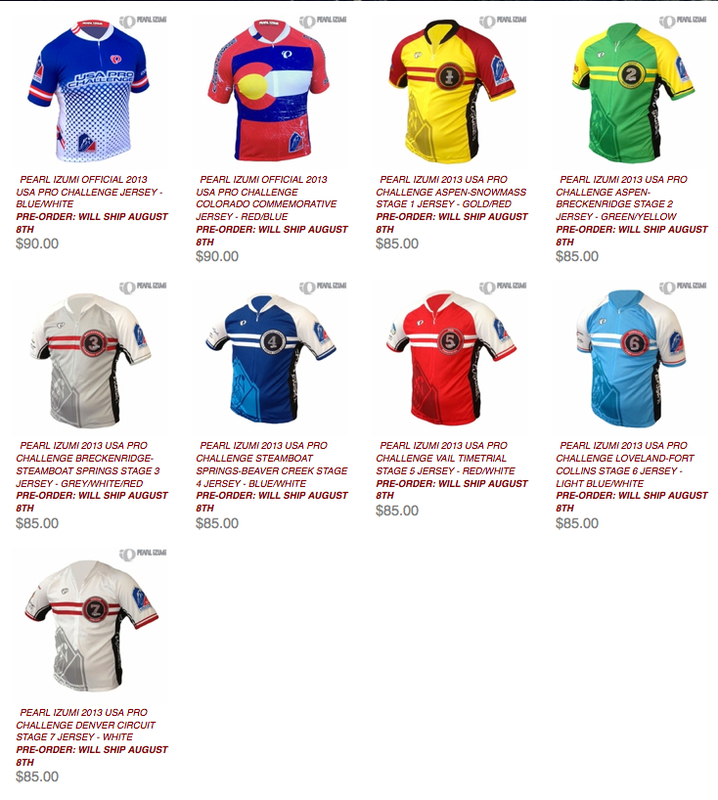 View the Official 2012 Jerseys from last year. Stage Race: a cycling race consisting of more than one day of racing, where points and time is tallied every day to determine an overall winner at the end of the race. The 2012 Amgen Tour of California will have 8 stages. 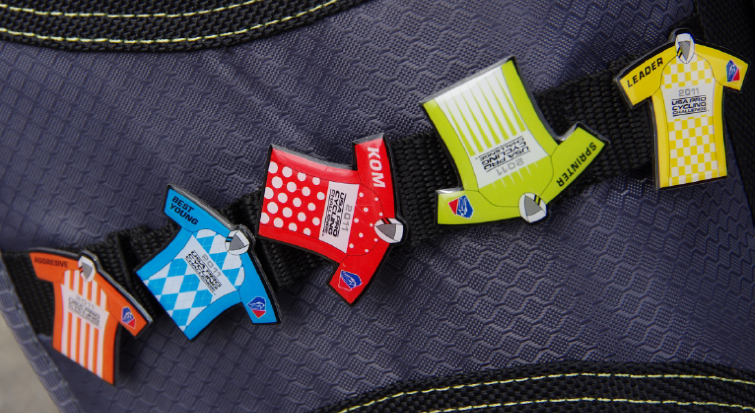 *For more terminology read the Amgen Tour of California Bicycle Racing Terminology: A Primer. For a far more advanced international version read The Inner Ring's glossary of cycling terms Lexicon. The event is called a stage race (UCI 2.HC). The same group of riders will race day after day for 7 days, from city to city across the state of Colorado, with no rest day. 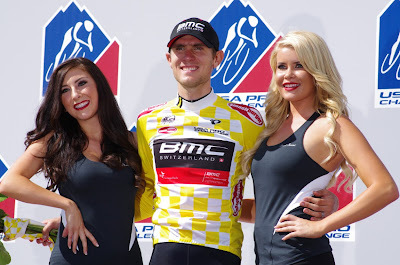 Although the Grand Tours in Europe (Tour de France, Giro d'Italia, Vuelta a Espana) are up to 3-weeks in length, and the Tour of California is an 8-day race extending over 2 weekends, the Colorado tour is a 1-week race from Monday August 19th through Sunday August 25th. Opportunities to be a fan along the route abound and are free (unless you would like to pay for a VIP package experience). The race was very popular with riders last year, who gave overwhelming praise for the organization of the race, and said they looked forward to coming back in 2013. 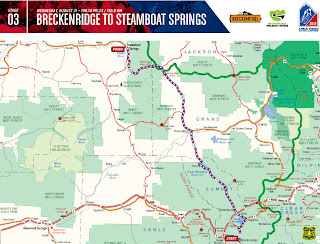 More information can be found online at www.USAProCyclingChallenge.com and on Twitter at @USAProChallenge." This section is intended to help you enjoy the race while understanding that the most important goal of race organizers is to keep the riders and citizens safe. You goal is to allow enough time to be safe to others, not be disappointed, and arrive relaxed and ready to have FUN! 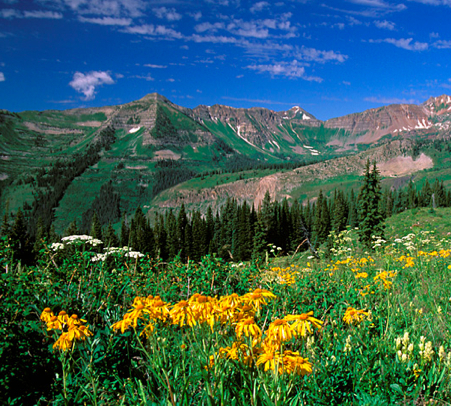 Being out on the road as a fan is a fabulous experience, being in the mountains of Colorado is even better! 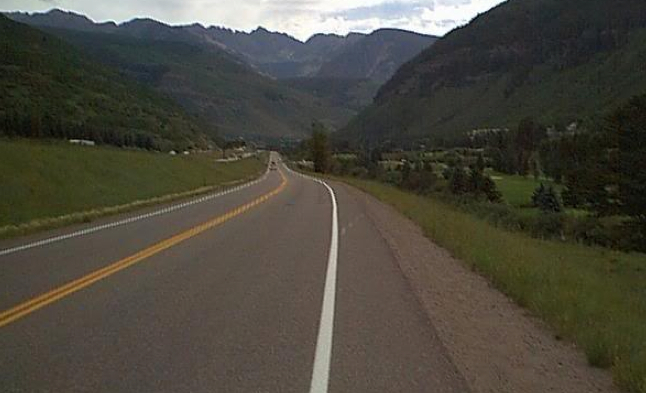 Wondering which roads will be closed for the USA Pro Challenge in your town this year? Road closures are a key concern, detailed information may be found here regarding roads, direction of traffic halted, and times: http://www.cotrip.org/content/usapcc/. Once you are on the website, please select from the Stage tabs on the page to see the road closures affecting roads near each stage. 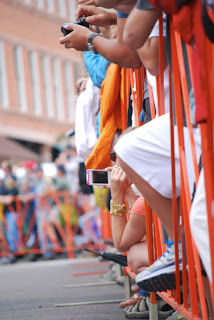 CDOT has created an excellent website for fans regarding travel advisories for roads on the race route. http://www.cotrip.org/content/usapcc/ For a highlight of important facts you need to know about road closures during the race see the Pedal Dancer Fan Guides by Stage, listed at the top of this page. Full road closures: No traffic is allowed on the course other than official race vehicles. The routes of the Individual Time Trial on Stage 7 in Denver will have full road closure (closed all of the time). This is to allow for a constant stream of cyclists along the route. Certain mountain top roads might be fully closed to car traffic. Rolling road closures Most other stages will have rolling full road closures. These will be expertly coordinated by race organizers and police, and should only close the road for 20-30 minutes as the caravan/convoy moves down the road. Non-tour vehicles will be allowed to precede the race and follow the race. Any on-coming traffic headed toward the race will be pulled over by motorcycle police. Rolling closures are moving, as opposed to Full closures, meaning that all lanes of traffic will be cleared from the road, in both directions. All side traffic attempting to enter the road will be stopped until the race (and all support vehicles) passes through. 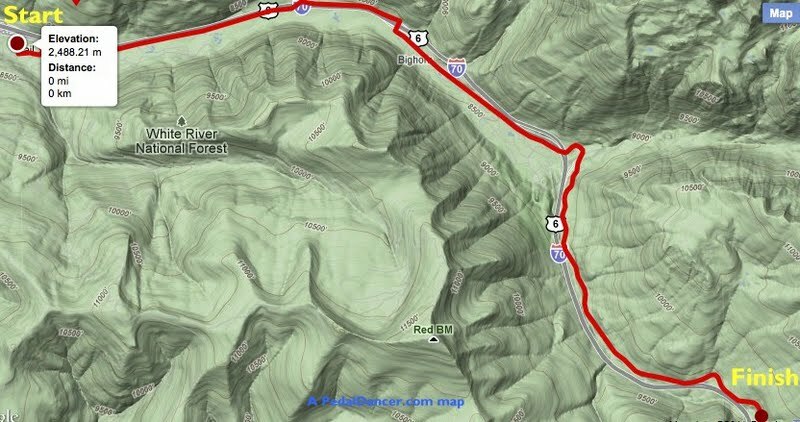 Mountain Pass Closures: mountain passes are generally closed for the duration of time it takes one car to complete the entire distance over the pass, and then double that time for complete safety. Some exceptions are made when a pass might be totally closed the night before to allow for maintenance or safety. These will always be publicized ahead of time. Mountains - Cool nights (50s), crisp mornings, bright clear sunburn hot mid-day temperatures (80s), afternoon rain showers, fantastic evenings. Denver (and the Front Range cities) hot and dry (80s-90s), with wind in the afternoon. When riding a bike in Colorado, safely estimate 14-16mph, as your average ride speed to allow for stops, regrouping, picture taking, weather, finding water (no domestiques) and food (no feed zones for you). Add in our famous altitude as an explanation for slower climbing speeds, and you realize why it is geographically and physiologically improbable to do it all on most stages.There are also long stretches of road in Colorado without water or facilities. Roads along the race route will have rolling closures, sag support vehicles may not be able to accompany their cyclists at every point on the stage unless you are riding the stage well in advance of the pros. Mountain passes will experience full road closures hours before (or even the night before) the race. Riding to and from stages on a bike is highly recommended. Also getting in a good ride before or after seeing a stage could be great fun. Hotels along the Routes: First read hotel reviews, see images and locations on maps on and then call the hotel directly to make a reservation or ask if they have special online deals. www.Booking.com or https://www.room77.com. What would Jens Do? Go Fishing. Who is that voice on stage? 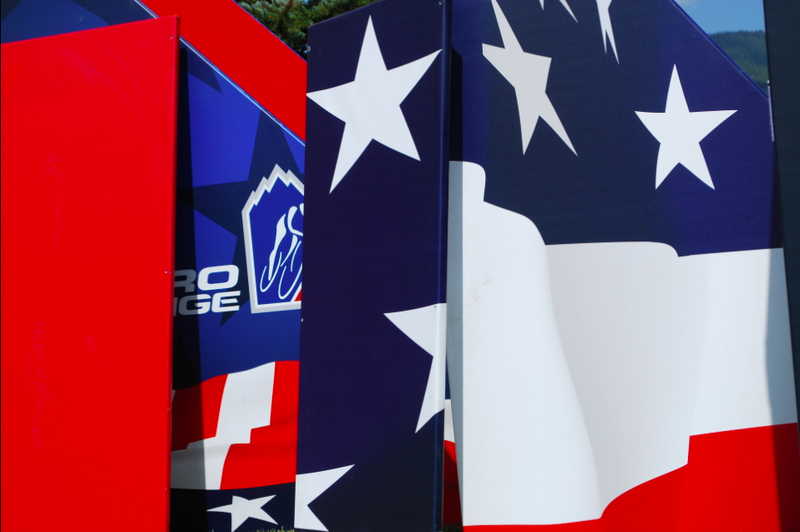 What is America's Toughest Stage Race? Can fans ride a stage?